When I could´t find products that could combine good functionality, high quality and excellent design at a reasonable price, I decided to start PAW of Sweden AB. The greater part of our range is PAW of Sweden AB own design and is manufactured locally. on the hunt and training. All our products are thoroughly tested to meet our high demands for functionality and quality. Helping me in this task are knowledgeable and active dog owners from all fields of expertise. and will exceed your expectations. 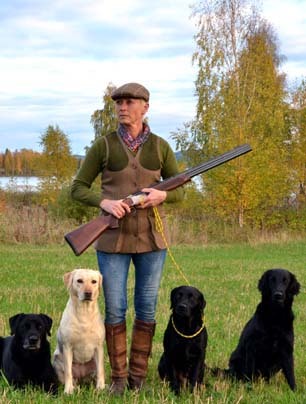 PAW of Sweden AB offers products to make your life with your dog a little richer. Our products must live up to our motto: Designed products for working dogs and active people.